We are all born with different degrees of psychic abilities but for whatever reason, we have learned to ignore it. Through the years, our God given intuition gets dull and muted. Our inner voice is silenced as we lose touch with our spiritual self. Relying on our intuition can help us in our every day. By listening to our gut, we can make better decisions in our life because our intuition always points us in direction that helps us. The good news is that we all have the ability to develop and sharpen our psychic abilities. By practicing every day, you can get back to your God given intuition and develop powerful psychic abilities. Ever have that “funny feeling” that something bad is going to happen or just “know” what someone is about to say. This is Intuition. Intuition goes by many names; gut feeling, sixth sense, innate wisdom, inner sense, instinct, inner voice, or spiritual guide. Whatever you call it, it’s the driving force of your spirit and is always accessible to you. Some believe that intuition is knowledge stored in your subconscious mind. Others believe it is the spirit world helping guide you through your life journey. In order to access this amazing ability, you have to continually practice and develop it. Through daily practice, you can sharpen your senses and uncover abilities you never knew you had! There are five “clairs” that are simply an extension of our five senses. We are all unique and therefore use our intuition differently. Most of us have at least one of these powers. Which one do you have? Also called Psychic Seeing, this is the ability to clearly see non-physical things like auras, energies, visions and spirits. A clairvoyant person will pick up a though and see it. This person has the ability to transform a thought into a vision or symbol in their mind’s eye. Also called Psychic Hearing, this is the ability to hear beyond the physical hearing; such as voices, music and sounds. Clairsensitive means clear feeling or clear knowing. It is defined by having intuition or a gut feeling, but at a heightened level. A clairsentient person often has precognitive thoughts, dreams or hunches and is often described as an empath. This ability gives a person the ability to smell an odor or aroma when nothing is present in the physical world. People have reported smelling flowers, perfume or cigars shortly after a loved one dies. Claigustus is a taste in the mouth one gets. For example, a person might get a citrus fruit taste in their mouth when thinking of a deceased relative or when they are getting a sign from the other side. The Light of God fills and surrounds me. for the purposes of Healing and Love. Note, you can substitute “The God” or “The Goddess” for God in the above recitation. Ask someone to bring a small object to you, like a piece of jewelry. Don’t look at it. Close your eyes and take a few deep breathes while rubbing your hands together to get the energy moving. Have this person place the object in your hand and continue to relax. Focus on feeling the energy in this object and notice if you get any impressions on the owner of the object. Do you feel anything? Get any impressions? If not, don’t worry! It takes time to develop these senses so don’t give up! If you do feel something, write it down. Don’t filter anything. Relay any thing you wrote down to the person who brought you the item and ask for feedback. The more you do this, the more validation you will receive. To increase your psychic ability, add Yerba Santa Leaves and Uva Ursi Leaves to your baths. You can also mix Anise Seed with Camphor and burn to help make you more clairvoyant or to improve your psychic abilities. Ask a friend to hide the object that has a lot of energy in it, like a wedding ring or an article of clothing, in your house. Then try to connect with this energy and find where it is hidden. Light our Intensity Psychic Talents Candle next to a glass of water. Read Psalm 78 and concentrate on your own God given psychic abilities. Also Vanilla Incense can also improve psychic powers. Close your eyes, breathe deeply, and make sure you are comfortable. When you feel centered and calm, imagine yourself projected into the next day. Think about what is happening, whom you are with and what others are wearing. When you feel like you have enough information, write down your predictions for tomorrow. Keep practicing and you’ll notice that your predictions get more and more accurate. Use Meditation Oil, Ambergris Oil, Lemongrass Oil or Lucky Prophet Oil on your candles or on your body to help develop your psychic abilities. Developing your intuition is vital if you choose to live a spiritually aware life. If you practice daily, you will be surprised on how psychic you truly are! If you are not able to tap into your psychic energies, then chances are, you are allowing things to block them. There are tons of different things that can cause these energies to become blocked and several are much more common than you might think. If these things are happening/present in your life then changing them might really make a difference. You are capable of so much more than you realize. Through overcoming these obstacles you will uncover so much more strength than you could have ever imagined. Allowing stress to build within your life. If you refuse to face the stress before you it will only continue to build up. Once it reaches a certain point it will begin having serious negative effects on you. This can really squash a lot of your positive energies, not just the psychic ones. Bottling your emotions inside will cause a lot more damage than you think. While you might forget things for a bit they will come out sooner or later. This causes your energy to change as time passes and brings the psychic energies within to a halt. Surrounding yourself with negative people. If you are allowing toxic people a place in your life you need to stop. Cutting ties with these toxic individuals will help bring back the flow of your psychic energies. While it might not sound like much, the more you’re around toxic people the more toxic you become as well. If you do not ground yourself properly you are putting yourself and your energies at risk. When we are not grounded others can and will drain us. When someone is draining you of your energy, you are left with nothing. Ignoring your well being (not taking care of your body). You must take care of your body. Your well being matters, if you are the kind of person that does not exercise or eat right you need to make some changes. Your body needs to be taken care of. Mindfulness is something a lot of people forget about. If you are not mindful then you are most likely either stuck in the past or obsessing over the future. Neither of those things will promote the flow of psychic energies. Being ‘too busy’ to get outside. If you are not spending any time in nature that needs to change. The more time you spend in nature the more your energies will grow. being in nature is one of the most amazing ways to promote positive energies. Circle casting is an important, and at times, difficult activity. It involves the use of many skills, and for the beginner it can seem like a pointless, if not impossible, routine. How do you do it properly? When should it be done? And perhaps most importantly: how do you know if you’ve done it? A circle is a boundary of energy extending halfway above the ground and halfway below. It marks the boundary between the worlds: inside the circle is a cleansed space where the two worlds can interact. Outside is the mundane, ‘regular’ world. That’s the basics; more on this later. Why do you need a Circle? A circle is cast to create a clean space in which to do ritual and magickal workings. It creates an area in which both worlds are present; in a very real sense, it is between the worlds. To invite a Deity, or an Elemental, etc. without a circle (into the mundane world) isn’t always such a great idea. It’s easier to interact inside a circle. It also acts to keep magickal energy inside until it is ready to be released, or to keep negative energy outside. What do I need to know to cast a circle? 1. What is the purpose of your circle? To protect from outside negativity; to contain magickal energy; to create a space between the worlds; another purpose; a mixture? The nature of your circle will depend on the ritual you are planning on doing. 2. How big will your circle be? If you are casting the circle for practice, then all you need is a circle the size of your own body. For a larger group, no big surprise, a larger circle. In my personal opinion, it should be large enough that you don’t keep wandering to the edges and sticking your head through it. 3. How will you visualize your circle? If you are just learning, it might be best to stick with simple colors. Later on, you can learn funky patterns and effects. Practice casting a circle in your mind during meditation. You must learn how to visualize things clearly, hold them in your mind, and focus while you rotate and move them. At the beginning, stick to the basics: there’s no substitute for them. 4. Can you keep your focus for as long as it takes to set up the circle? If you are constantly second-guessing yourself, you can’t maintain your concentration. Trust yourself. 5. Treat it with respect. Constantly walking in, through, and out of the circle without cutting a door, or otherwise ignoring its boundaries doesn’t really help you much. You can’t really expect to cast strong circles if you can’t create and keep it in your mind first. The circle is real because you make it real. You make it real by believing in it and acting on it. 6. Finally, don’t be disappointed if you don’t get it the first time. Or the second. Or the 30th. It takes time; it takes self-trust; it takes PRACTICE. When do I cast the circle? I’ve found that the best time is right after you have cleansed the space (by blessing, sweeping, or making lots of noise), and before you invoke any elements or Deities. If you have others with you for the ritual, save up jokes, and try to make each other laugh really hard just before you create the circle. This further gets rid of any negativity that might be present, and provides enough positive energy to cast a good circle. My friend and I have had some fascinating rituals this way. So, how do I cast a circle, exactly? Well, there are many ways. If you’re reading this for information, then you’ll probably want a simple one. First, ground and center yourself. Stand with both feet firmly on the ground, and relax your arms at the sides of your body. Simply feel and visualize the energy of the Earth below you, and the Sky above you. Face one of the directions, and physically reach down with your arm and gather the energy of the Earth into your hand. Reach up to the Sky and gather the energy of the Sky into your other hand. Now scoot down near the ground and face your palms outward, sending that energy into a smooth wall of colour that will spread itself into the shape of a circle. Rise up as you do this, shaping and smoothing the wall at this corner. Repeat this at the other three directions, constantly smoothing and shaping it with your hands. At each direction, the circle gets stronger and thicker; there are no gaps because the energy of the circle constantly swirls around evenly. See the energy as a thick, fluid stream of color. It also flows under the ground, to even itself out as a complete sphere. You can shape it underground by visualizing it through the floor. Solidify it by visualizing the energy of the circle as sticking together, like hot glue or warm honey. When you feel the circle is ‘set’, all you have to do now is keep it in mind, and perhaps make minor re-adjustments if you feel it is necessary. Take as much time as you need, and don’t rush. No one is holding a stopwatch. Don’t be afraid to move around spontaneously; no one is marking you on grace or coolness. And most importantly, don’t be afraid to screw up; that’s an important way to learn. Casting A Circle – How do I know if I did it? This is the fun part. Everybody has their own unique way of sensing circles. Some people can see the circle; as a band of color, or a thickening of the air. Some people can feel it as a spark of electricity, or again as a thickening of air. Some people can hear it as a low hum. Everybody is different. One thing is certain, however: circles get really hot. In a strong circle you can feel the cold air rushing in when you cut a door. When you take it down, you can practically feel a breeze. In the beginning, you may not be sure whether or not you’ve succeeded; don’t let that bother you. When you really get the hang of it, you’ll know for sure. Casting A Circle – What’s this about cutting a door? Cutting a door basically means opening a hole in the circle so you can leave it. It’s best to stay in the circle the whole time it’s up, but there are times when you’ve forgotten something important in another room (like a lighter), or there’s something you have to deal with. My personal favorite way of cutting a door is to hold your fingers and hand in a straight line, and move your hand around a rectangular outline large enough for you to walk through. Visualize the energy of the circle inside that rectangle being sucked into your forearm where you can store it until you get back. When closing the door, do this in reverse, and then smooth out the edges of where the door was. Visualize the energy of the circle swirling around until the location of the door is lost. Still, cutting too many doors in a circle can also weaken it eventually. I live in an apartment; will the people downstairs walk into my circle and mess it up? When and how do I take the circle down? At the very end of ritual. After the Deities are gone, the Element/als have returned to their respective realms, etc. etc. etc. The only thing that generally follows taking down the circle is eating, drinking, and chatting. Take the circle down exactly the same way that you set it up, in reverse. Take as much time to take it down as you took to set it up. Send the energy back into the Earth, the Sky, or wherever you chose to get it from. If you used the energy from the Earth and Sky, then it’s a good idea to change it into healing energy for our planet and our skies before you channel it back. What’s the best way to practice casting a circle? Actually: alone. If you can do it alone, then you can do it in a group; it doesn’t always work in reverse. Working alone also lets you develop your own style, and you don’t need to worry about people staring at you. You can work on your concentration more easily by yourself, and you don’t feel like you’re boring people if you take a while. Write your own visualizations and keep track of your results in a journal. But above all, learn to trust yourself and your instincts; it’s one of the most valuable gifts you can give yourself. 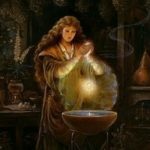 Do you ever want “proof” that Magick exists in this world? Here’s an exercise I recommend you do every single evening… to confirm in your heart that real Magick exists… and it’s inside of you. No matter where you may be… take a moment to stop…and move to a place where you can be alone for a minute, so that you have a view of the sky. Gaze up at the heavens…notice every cloud, the moon, and the stars and realize what a miracle it is that you’re breathing. That you exist. That certain forces of this universe willed you into existence. Life is the greatest gift any of us will ever receive… we can breathe, and think… see, taste, touch, and experience the beauty in our world. That there’s Magick in this world, and it’s inside of you… and that you can make miracles in your life. Such chants as these express and reinforce a sense of belonging, both between immediate group members, and with the wider world or universe. Chants tend to build up slowly, and pick up speed as people feel the growing rhythm and pulse of the words and beat, which “carries” people along – it is easy to get so caught up in the chant that you begin to enter a trance state – but don’t just take my word for it – try it out! The Darksome Night and Shining Moon chant of Wicca is another good example of a group chant – especially when each line is chanted by a different group member. The words of the chant serve to resume the central concepts of Wicca – the four elemental directions, the magical weapons, and the complementary natures of Goddess and God, Darkness and Light. Drawing Down the Moon refers to ritually connecting with the power and wisdom of a Full Moon divinity. In some Wiccan traditions, this is done by the priest of a group calling the Moon Goddess into the priestess in order for her to become the living embodiment of the deity during the ritual. However, there also are other types of Drawing Down the Moon rituals. Do a personal Drawing Down the Moon ritual in a private place where you are not likely to be disturbed. Create sacred space. Then, hold your arms up above your head, curving them slightly and holding your palms toward each other so that as you do this you get a sense of being a great chalice. Invoke the Full Moon Goddess or some other Full Moon Divine form you wish to link with. As you do the invocation, call to mind the image of a shining disc of Moonlight coming down into yourself through your sacred chalice posture. Drink in the power, wisdom, and light of the Moon Goddess. Then, slowly move your arms so that your hands overlap each other on your heart area. Experience yourself as becoming one with the disc of Moonlight and the Moon Goddess. Experience yourself glowing with Lunar radiance, power, and wisdom, and continue to resonate for several minutes. Then, receive, reflect on, and remember your experiences and any guidance that comes to you. When you sense it is time to end the ritual, give thanks to the Moon Goddess and Sacred Moon. Then, end the ritual and eat some food to aid in grounding. Write about your experiences. Greetings dear ones, for I AM KRYON of Magnetic Service. Once again it is wonderful to be here on this warm summer night. There is much love in the air; the planets are shifting, creating the right circumstances for you to meet your soul mates, your twin flames. Love is the only way and you will find love within another person. True love can only really be expressed through another person or other people and joy is an emotion you will experience in your relationships with others and by being with others. As we have said in past channeling, love will always find a way. Like the tiny drop of water that falls from a cloud and makes its way back to the ocean. Remember, love and joy are intimately connected. Many of you on the Spiritual path took a journey of the soul to disconnect from relationships and to work through your own issues on an individual basis. And now it’s time to reconnect. What this means is that within yourself you will reconnect your inner masculine and inner feminine, your inner father and your inner mother. It is very important on the inside that your inner mother and father relate to the child and also as husband and wife. You will find this husband and wife energy – the husband on the masculine or right side of the body and the wife on the feminine or left side. Sometimes, depending on your social conditioning, these energies can get mixed up. So, for just a moment close your eyes, go inward and observe, in your own energy field, exactly where your inner mother and your inner father are within your bodies. Be patient and wait for the answers. What we want to do is place the inner father in the area of the crown chakra, the third eye and the throat chakra and the inner mother in the area of the solar plexus, the sacral chakra and the base chakra. Ensure that your feminine energy is on the left and that your masculine energy is on the right. In this energy you will find it simple to readjust, for whilst your energy is in this shape processing is very easy. Unless of course your inner mother is unhappy that your inner father is at the head of your body or the inner mother is unhappy with the relationship of the mother and father. Then your inner father must receive enough energy to maintain his position there. Remember, only the father can connect to Father Sky and only the mother can connect to Mother Earth. So, let this to happen and let your spirit guides and Kryon help you with this, you should be able to feel your energies instantly increase whilst this action happens. We suggest that every day you check that your energy is in this format within your bodies. In months gone by, we have channelled a message about the fear of emotional stability – there are energies within each human being that feed off emotional instability, anger, hatred, heartache, pain, and negative energies. These energies continually keep you in a negative space and whilst your energy is in this format you can acknowledge and release them and let them go. So, get in touch with those energies that feed off negative emotion and perpetuate that energy. Be supported by Mother Earth and Father Sky and this Kryon energy that is here with us in this room tonight. Acknowledge these energies, release them and then let them go. Thank them for the lessons of the past and release them… with love. Dear ones, there is much love in the air this night. You may also bring in your inner magician to help you with this, for there can be much fear in confronting such an energy. Step by step as you erode the fear you will become more magical within. You will become more excited about your own lives, about manifesting a life that you truly choose to be of your own. Now, make a love connection with each member of this circle this night, a connection through your heart. Remember, where there is no connection, there is loneliness and disconnection from the Divine, from Mother Earth and from Father Sky. Permit your connection to be enhanced in this energy and invite support from your spirit guides, your angels and from the Kryon energy. Be patient for this is a difficult energy to release and don’t sell yourself short. This energy has not only held you back but it has also held human-kind back for many thousands of years. Your inner magician can feed off this energy and as you release it, your magician becomes stronger. Let your inner magician heal this wound. In a way, your inner magician will become more charged and powerful by this energy thus the more magic you will make in your lifetime. Things will be easier to manifest. There is also a paradox in the process of releasing fear – “What will I feel like without fear? I am afraid to release the fear.” So, hand that one over to Spirit, to Kryon and let go the fear of handing power over to your magician, the fear of giving more power to your magician, for you are your own magician. You are the one that will create a reality, you are the one with dreams and it is only fear that stands between your dreams and reality. As this energy is released, you will begin to feel your vibration change very rapidly and you will also maintain and sustain this shift of consciousness. All of you in this room are healers. You have been in a contract with this energy to slow down your growth, to hold you in a space where you could not live your life as you would want to. This makes you strong and powerful. You have learned many lessons and know many secrets about the Universe. You also have a great understanding of how things should be. It is now time to put this understanding into practice by releasing the energy that feeds off the fear of emotional stability – that constantly keeps you agitated like the ocean waves. When you live a life with calm, peaceful and focused emotions then your life will become as you see and want it. So, release these energies purely through intent whilst at the same time thanking God for the miracle to do this. Let love flow through your hearts and into the spaces that are left open as this energy releases. Let in more and more love and be aware of your vibrations as they soar higher and higher – higher than you have ever been lifted before. Maintain an earthly connection at the same time and seeing that your roots go firmly into the ground, connect with the heart of Mother Earth, then allow your vibrations to soar higher and higher until a very high vibration of love is reached… and on towards ecstasy. This will intimidate that energy and help you release more quickly. To enter a state of high vibration whilst you are deeply connected to earth is a very unusual experience. Most of the teachings in meditation ask you to go higher and higher without a connection to earth. Tonight we will take you on a journey to meet your magical child. That part of yourself that will return to your physical body last of all – for the magical child has answers to everything. This magical child of a high vibration knows and understands you and your dreams. So, let your vibrations soar higher and higher and let your soul be guided by your magical child. 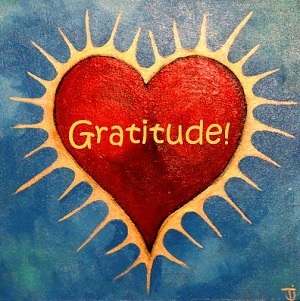 Once again stay connected – through your heart – to every member of the group as you let your energies soar higher. You will find yourself in a space where you meet your magical child. Be with this child who has much love in its heart for you. This child knows everything about the entire Universe and understands that you are on a journey. But so too is the child – a journey of separating and returning to wholeness. Be patient with the child. Listen as the child speaks to you. Let the love from the child flow into your heart and expand through your body pushing your heart and your vibration even higher. Permit this love to flow between yourselves, between your DNA. Allow for an expansion of your energies. Become loose and free inside so that this love can flow into the darkest of spaces. Your energies will be free to allow you to release whatever there is to release and to let go. They will soar higher and higher and become more spacious on the inside. You will release those things that don’t work – that stop you living your dreams. Love will permeate those body cells and make them softer, more gentle, more caring and more receptive. And, just like the water always finds its way back to the ocean, love will find its way back to where it needs to be. So, let the love flow to where it needs to be, for tonight, the planets are so aligned that this can happen. You will be set free so that you can let love flow. Where there is disconnection between the masculine and the feminine or the inner husband and the inner wife, let the love dissolve this disconnection. There’s a place in your body where the masculine and the feminine energies won’t mix or merge. Let love flow and dissolve that that prevents them mixing and merging – when you have a working relationship on the inside you can also have one on the outside. Be guided and, without force, let that magical child speak of the dreams and the relationship that it has for its mother and father. Let the child heal your inner mother and father so that they relate well to one another. Loss, hurt, and pain, are energies that harm the mother father relationship. These energies turn bad or sour. This is not the way it is meant to be. So, let your magical child speak of its dreams and how it wants its mother and father to be. Let the magical child speak of how it wishes to be nurtured and loved. Welcome this energy and let it flow into your body. Beautiful, loving, caring relationships are not mass consciousness; they are the exception to the rule. This child will return when the inner mother and the inner father relate to the child’s dreams – they will relate as the sun and moon relates to the earth. The Universe paints a picture for all those willing to understand, for those with a desire to love, to experience the energy of devotion towards another human being. The Universe speaks continually. Whatever questions you have will be answered, through observation and by listening to your inner voice. There is always an answer to what we seek. Some things are so great and so challenging that only a small piece of the answer is given. Everything on earth is in duality – either masculine or feminine and the way to manifest something on earth is to operate through the masculine. Masculine things happen in straight lines, step-by-step. Answers will come slowly but surely like the creation of the statue of David that Michael Angelo slowly hewed from a piece of rock. For each answer to a question, you take one step. Answer another question, take another step. Often it may seem you are being guided away from your dream, but you need to experience this in order to live your dream. Remember that love is the answer, love is the way… and where there is darkness in your body, shine love which is light. You may be afraid, ashamed or feel guilty to look into those dark places but with courage and by shining the light of love you will receive many beautiful gifts. So, speak to your magical child. Talk of those dark places in your life, places where you would like light to shine… then wait for the answer. Your magical child scans the Universe – for each human being is a microcosm of the Universe itself – and will provide a loving answer. In the Kryon channelling, the word ‘magic’ means Divine – the physical manifestation of Divine will. The Divine wants you to have a magical life with magical relationships. The Divine wants your hearts to be full of love and joy and ecstasy. In meeting your soul mate – your twin flame – you will feel your hearts merge. You will feel the vibration, so unusual but so exciting, of your twin flame. Only your heart can lead the way to a relationship like that… for your heart is the feminine. So, let your heart lead the way into the relationship of your dreams. And now dear ones, this is Kryon signing out. Go well, God Bless and take care. There are simple tricks to flex the hidden mind power you possess, and like a bodybuilder looking to add more muscle mass, the key to realizing mind control is through regular, simple exercises. Psychokinesis, often referred to as PK, is a term used to describe the ability of the brain to affect inanimate objects and otherwise control your surroundings, and there have been many famous users of this ability. Benefit from their knowledge by practicing these simple exercises every day, and over time you will realize your mind’s full potential. Starting with the right mindset is the most important prerequisite to your psychokinetic work out. Arrogance, fatigue, anxiety, doubt, and over excitement are all enemies of your success, and will hinder even your best efforts. If you are considering developing your psychic powers with malicious intent, such as for greed, revenge or a desire for attention and fame, your powers will not manifest themselves. Approach these exercises with a humble, sweet, and open heart, and be ready to practice every day: discipline, willpower and patience will show you the path to your mental abilities. Balance yourself by seeing yourself as the roots of a tree, reaching down into the solid earth. You are connected with the earth, bound to the soil, perfectly grounded. Understand that there is energy flowing through you at all times; this is called “psi,” and you must feel and recognize the flow of it throughout your body. A psi ball is created by moving this energy. Usually, people describe a psi ball as being about the size of a baseball, or maybe slightly larger, although some are large enough to act as a shield, fitting around the entire body. Gather this energy, and when there feels like enough energy, hold your hands out, keeping them steady. Make sure that whatever way you extend your hands (or hand), it feels natural and right. See the hole in your hand. A small door has been unbolted and the psi, or energy, is trickling out. Can you feel the psi yet? Is it a slight tingling sensation, or more like a sense of pressure or emanating heat? When you think you can feel the psi, try to move your hands close together. If there is a resistance sensation, however slight, you know it’s there. Play with the psi flow. Now you can use visualization to make the available psi into a ball, a cube, a pyramid: only your imagination restricts you. If you were just practicing, simply release the ball. After you have gotten the hang of your psi ball, you can try programming the psi ball to get a friend’s attention. With very clear mental intent, send the ball to “poke” someone and give them a message. Go ahead and say the words in your head; this will help solidify your intentions. Another invaluable tool which will help you to refine your PK powers is the psi wheel. The observable nature of your power through the psi wheel will be extremely satisfying. Try this when you have mastered your psi ball. You will need a small bit of paper or foil, an eraser, and a needle. Cut a piece of foil or paper down to the size of a Post-It. Fold it diagonally and press down on the fold to create a crease. Unfold. Create another diagonal fold on the opposite corner. Crease. There should now be a crease in the shape of an “X”. Now fold the square lengthwise and width-wise, creating a cross through the center. Pinch the “X” shape, allowing the center to pop up. The paper should look somewhat like a three dimensional, four pointed star. You’ve created a psi wheel! Pressed the pointed end of your needle into the eraser. It should stand up perfectly straight. Set your wheel on the center of exposed end of the needle. You are ready to use the psi wheel! Place your hand on the side of the wheel, without touching it, and concentrate. Your palm should be facing the psi wheel. It will rotate when you’ve gathered sufficient psi. Light a candle, any type will do. “Lead” the candle flame. Picture the flame growing longer, then receding, waning to the side as if being blown, then bending to the other side. When you’ve had success, visualize your separation from the candle. There’s no need to purchase a special pendulum; you can create one by simply attaching a ring to a string or thread. The exercise works best if the pendulum is attached to a stand and is hanging in front of you, rather than held in your hand. Pace the pendulum; remember, to pace is to focus until you merge with the object or material. Lead the pendulum; remember, to lead is to use your fused energy to move the object through mental projection. Imagine the pendulum moving back and forth, side to side, and spinning. When you’ve been successful, emerge from the pendulum and return to your normal state. When you have mastered the flame, the pendulum, the psi ball and psi wheel, you are ready to attempt to manipulate small objects. Place a lightweight, small object on a flat surface. This will sound familiar, because it is. Relax, and begin to pace the object. Your mental powers should now be strong enough, through practice with other objects, to do this effectively. Imagine that a tunnel extends between you and the small item. Only allow your awareness to acknowledge the tunnel and the item at the end of it. Visualize hands reaching out from your mind and dragging the item through the tunnel. You should “feel” the pull. When you are experiencing the pulling sensation, it might help to make an “nnnnn” sound with your mind. Watch the object move, using only mind control. This is a very special exercise that is important to your ability to tap into Magick energy at any time (and for almost any reason). This exercise, not only creates the solid “base” from which your spell power comes from – but it also cleanses you of negative energy (including stress). The exercise can be done at any time, but is particularly effective during the dark of the moon. Obviously, Internal Sacred space exists within your heart – and External Sacred Space exists outside of your body (for example, your altar, and the area surrounding it). So many people practicing Witchcraft are so focused on the External Sacred Space… they make their altar just perfect, they cleanse their circle, decorate it, etc… don’t get me wrong, these things are very important! The more energy you put into your External Sacred Space the better your spells will work – without a doubt! But can you guess what is at least 10 times more important than External Sacred Space? Yup, you guessed it – your Internal Sacred Space! And some Witches completely ignore it… it’s a shame because if you set up your Internal Sacred Space properly, it will effect your Magick in amazing ways – much more than things in your External Sacred Space (like the color of your altar cloth, etc.). I completely understand the attention being paid to External Sacred Space, because the sight of a beautifully done altar, in a perfectly clean External Sacred Space is a wonderful, spiritual thing to behold. Find a quiet place where you can sit down and concentrate. Preferably outside on a nice day, but you can also find a quiet place in your house where you feel at peace. Grab a pen and a piece of paper of clean 8 ½ x 11 notebook paper, sit in a comfortable position, and close your eyes. Take a few deep breaths and think of emotional and sacred things in your life. These could be fond memories, certain people in your life, emotions, feelings, important objects, places, etc. If you think of negative things, immediately “sweep” them out of your mind. When you are done, you need to only be left with all of the sacred things in your mind. Relax, and concentrate until you feel you are “ready”. When you are done, turn the paper over. Now, close your eyes again and think of everything that is NOT sacred to you. Think about your biggest long term problems, things that irritate you, things that make you sad. Nobody is perfect, think about your flaws as a person. Think about anything that brings negative emotion into your heart. Once you have brought them all into your mind, open your eyes and write them all down on the back of the same paper. All of these negative things will keep you from creating your sacred space. You will soon find out how to keep them out of your sacred space so that you will have a true place of power within you for spell work. You’ve now got your lists. On the front you have a list of things that are “sacred” to you. On the back you have a list of all things that are NOT sacred (the things that bring negative emotions into your heart). Now, you will need to gather a few tools to use to finish the building blocks of your Internal Sacred Space. When you are ready, light the candle. Let it become your focus. Feel the heat and energy coming from the candle. Visualize it’s energy surrounding you, enveloping you in it’s light and warmth. Let it’s light fill the aura around your body. See this light purifying your energy, filling your heart with it’s pure, white glow. After you feel warm and pure from the light of the candle, take the paper and unfold it. Now visualize each item from your list rising up off of the paper to brighten the white purifying light around you. Next, fold the paper back up without even looking at the list of negative things. Gently hold the folded paper into the fire on the candle (be very careful not to burn yourself or anything around you). Once the paper catches fire, drop it immediately into the bowl. Now watch the flames carefully as they burn the rest of the paper while you focus on feeling your positive sacred energy full of grand emotions. Feel the energy again, surrounding you and cleansing your space with white purifying light, filled with all of your sacred things. Pour some water into the bowl to put out the rest of the flames and as to “cleanse” all the negativity from your space. Now snuff out the candle. Going forward, you are going to want to do this once a month to keep your sacred space clean so that your Magick will work to it’s fullest and won’t be tainted with negativity.